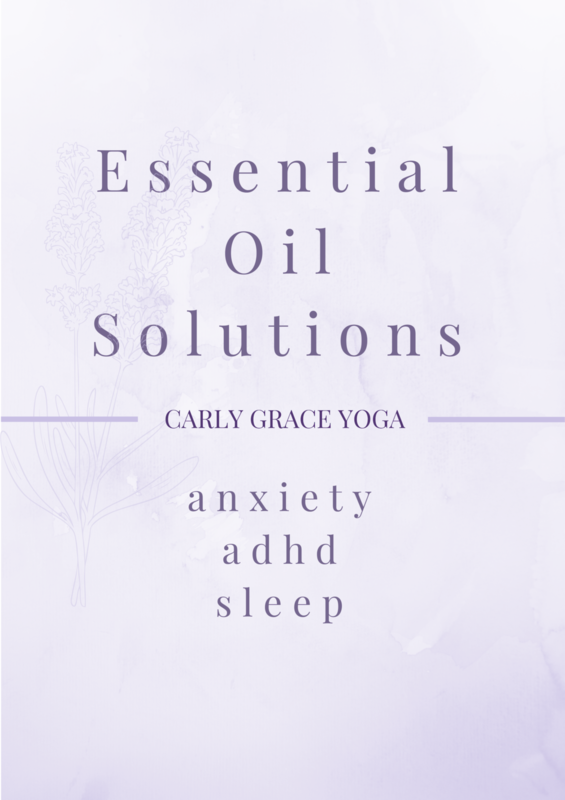 One of things people asked me most often is, “How do I use essential oils?” Before I dive into using essential oils for ADHD, Anxiety, and Sleep problems associated with ADHD and Anxiety, let’s talk about the how-tos. I like to mix essential oils with carrier oils, mainly fractionated coconut oil and apply them to my skin. The light barrier helps create a buffer between skin and the oils in case there is any unknown sensitivity; additionally, carrier oils helps carry oil deeper into your body while also slowing down absorption. I’m careful to avoid sensitive areas like my eyes, inner ears, and any skin abrasion or cut. One time I got peppermint oil in my eyes because I forgot to wash my hands and it was terrible!! I also vaporize essential oils in diffusers or atomizers (for larger spaces) around the house that create a fine mist, scent the space, and offer immune boosting properties for healthier living. One of my other favorite ways to use essential oils is to “wear” them in a pendant necklace that I can smell throughout the day. There are lots of cool essential oil jewelry pieces on Etsy and I’ve even found necklaces I like on Amazon. There are other options available such as lava rock bracelets, etc that might appeal more to men. The most important thing I should add is that there is a ton of information; ultimately, from a holistic stand point almost all chemicals in our environment cause imbalances, and one by one making changes to literally detox your lifestyle from chemicals, toxins, etc will begin to provide clearer pathways between your body and brain. The quality of essential oils you choose is everything. doTERRA oils are constantly recommended by healthcare advisors, doctors, etc doTERRA oils have been extensively studied and each oil goes through 8 rounds of third party testing for purity and potency. Lavender oil is well known for its calming properties. When I am feeling anxious or nervous or just having a stressful day, I apply it to the bottom of my feet or put it in a diffuser to help me sleep soundly. I think lavender is a great oil to keep with you on the go. If something anxiety provoking happens, apply a little lavender to your hands, inhale a deep breath and take a giant exhale. Peppermint oil boosts mental focus and helps increase energy when used midday. My husband adds it to coconut oil and rubs it on sore muscles after a workout. Vetiver oil is known as the oil of tranquility and, when combined with lavender, promotes enduring emotional balance. Vetiver oil is quite viscous and you may you need to use a toothpick in aiding removal from the bottle. Vetiver is calming and grounding - especially for emotional well-being. Drop a few drops in a warm bath for relaxation, add to your diffuser, or even add 1-2 drops to hot tea to boost immunity. Roman Chamomile is known for its soothing and comforting properties. It can help with concentration and promote a healthier sleep cycle. Drop a couple drops of Chamomile in the bath to promote restful sleep. Apply to inner wrists and temples with FCO to establish a calmer demeanor. Cilantro oil has been found to reduce the excess heavy metal toxins present in children with behavioral disorders such as ADHD. Cilantro oil has a high anti-depressant, anti-inflammatory, anti oxidant, and euro protective properties. To use, apply to the big toes (the receptor to the brain) and the bottom of the feet daily. doTERRA also offers the Serenity sleep supplement and Restful Blend designed specifically for promoting healthy sleep. doTERRA Serenity combines essential oils renowned for their ability to lessen feelings of tension and calm emotions, and support a restful sleep when used aromatically. dōTERRA Serenity can be used in conjunction with dōTERRA Serenity™ Restful Complex Softgels.